Most people will, at some point, experience a time of brokenness—a time during which their hearts ache with pain. For some, it will be the loss of a personal relationship with a significant other; separation or divorce; strife with family members, children, friends, co-workers, or neighbors; or death of a loved one. Brokenness is a place where there is no place to sink further, because that point has already been passed. It is rock bottom. It is a place that is humbling, because the pain of loss penetrates deep, exposing one’s core for all to see. In most (not all) situations, when it comes to broken relationships, at some level, you have played a part in the circumstances in which you find yourself. Now, I dislike accountability as much as the next person, but it usually takes two to have a disagreement—rarely just one. At this point, however, what got you to your painful situation is far less important than what you are going to do about it now. Even in the moment of seeming despair, you have a choice. You have a choice to stay stuck, embittered, and hopeless—possibly blaming others for your condition while wallowing in self-pity—or you can embrace the moment as one of the greatest opportunities to grow and learn. Your changed circumstances will become an anchor point for living the rest of your life. In which direction will you point your emotionally charged sentiments—up or down? In the aftermath of a breakdown of a personal relationship, I was challenged to rethink how I “showed up.” In the past, I might have become angry or upset, but instead, I needed to stop and acknowledge the other person’s feelings, which were surprising to me. I also realized I can own only my stuff—not the other person’s. People are often very slow in understanding that nobody can change anybody else—each person must actively choose change. The more you try to change someone else, the less likely that person is willing to change. Who wants to do something that is being demanded by someone else? It’s like one of those Chinese puzzles you put on your finger. The harder you pull, the tighter it grips your finger. Once you relax, you can remove your finger from the puzzle. The same holds true for brokenness. You can either fight it or relax and be transformed by the experience. So many broken relationships end up in bitterness, with each party spreading malicious gossip about the other. Lack of forgiveness will eat away at you, turning you into a toxic person, so do whatever you need to do to release those bad thoughts and feelings. Brokenness not only is humbling regarding human frailty; it also exposes people’s authentic selves. The way you handle these situations will show the real you. If you have experienced brokenness in your life, how did you “show up?” Are you okay with your responses? When you allow people in, that, in turn, allows others to support you in your time of need. The human spirit requires community, so withdrawing is not the answer to healing and transformation. Yes, you will still want your own space, but not to the exclusion of community. At my time of need, I appreciated my friends and the way they supported me—I was not only thankful, but also amazed at their loyalty and love. If someone you know is experiencing brokenness, please share this article. Take the following steps to transform the experience for yourself and for others. Your positive progress is only one decision away! 1. Think about a life-altering experience that took you to a place of brokenness. How did you respond? 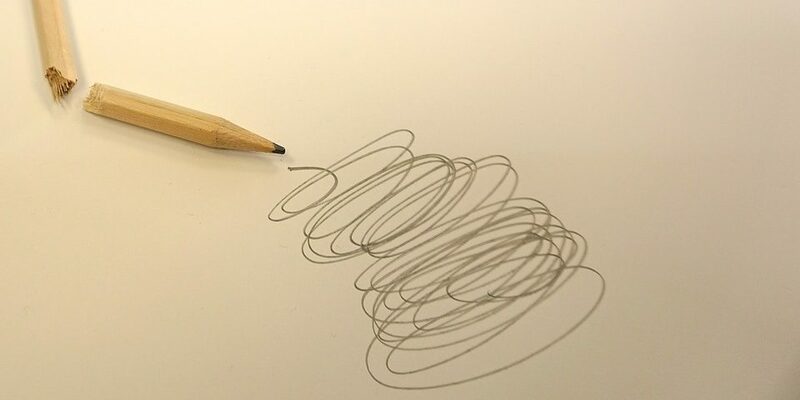 If this has not happened to you yet, please read on! 2. Don’t wallow in self-pity; it will always leave you stuck. Remember, no matter how deep the brokenness, the good news is that the only way out is up. It may not feel like it now, but brokenness—no matter how deep—will pass, if you choose that path to move forward. 3. Keep in mind that each of us, at any given moment (no matter what has happened), has a choice—to either become embittered over an event or person, or choose to be transformed by the experience. 4. Determine what you can learn, or have already learned, from your brokenness. How can it make, or has it made, you a more developed person? Own your contribution or the part you played in this brokenness. 5. Don’t spread malicious gossip or bitterness about other people. That poisons only your soul and spirit—not theirs. If you want to be transformed, you must be willing to let go. 6. Reach out to friends while you are in the middle of your brokenness, and benefit from a sense of community. You will be amazed how friends will rally around you. 7. Be fully committed and persistent to the transformation process. Never give up! 8. Be thankful for the opportunity to live at an elevated level and to contribute. Brokenness, though not initially desired, releases powerful emotions. It is a life-changing event that can be harnessed to take you to a higher place of development than you would have achieved without it. 9. Be in the moment—in this very moment—because you can only ever live in the now. © Copyright 2019, CRG Consulting Resource Group International, Inc. All Rights Reserved. TO FIND IT AND LIVE IT! 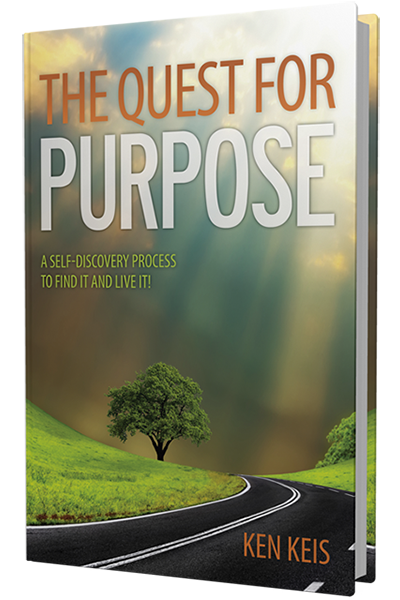 Enter your name and email below and receive the first chapter to Ken Keis' The Quest for Purpose. DISCOVER THE SECRETS TO UNDERSTANDING YOURSELF AND OTHERS. 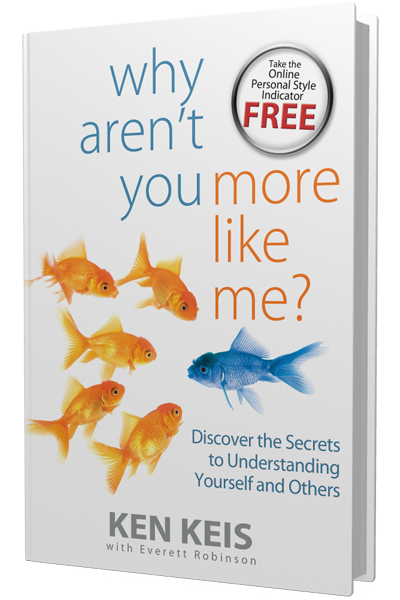 Enter your name and email below and receive the first chapter to Ken Keis' Why Aren't You More Like Me? 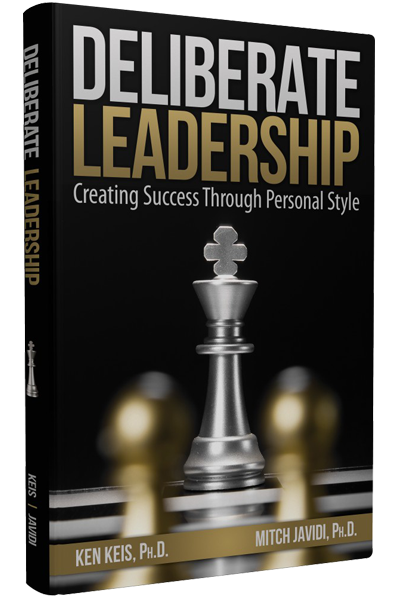 Enter your name and email and receive the first chapter to Deliberate Leadership. EFFECTIVE LEADERS DON’T HAPPEN BY ACCIDENT! 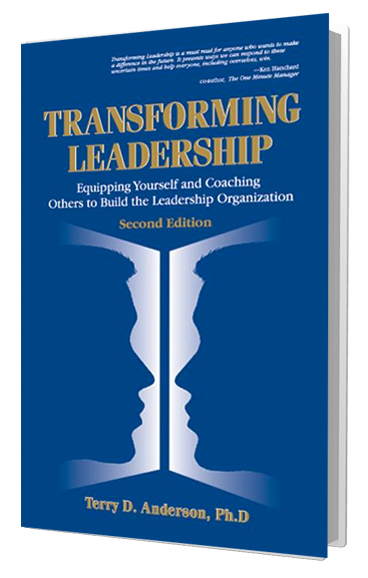 Enter your name and email below and receive the first chapter to Transforming Leadership.